E-commerce and other businesses must find a way to target and beneficially influence every aspect of the organization to help it to operate efficiently. One of the most critical elements in any working environment is administration. Any business must approach these various admin processes carefully as they can have either a positive or negative effect on productivity within the workplace. There are many concepts related to business administration, and printing is a fundamental part of the process. Without the correct printing facilities or outsourcing print procedures in place, it can have a detrimental effect on the company in general. In recent years, the printing process has become more advanced. Printers, in general, are now considered as wireless network devices with many different capabilities, including large-scale copying and faxing. This new advanced technology has enabled companies to now give their employees access to printers that can cover large-scale jobs within the working environment. Electronic copying and/or delivery of customer and B2B communications are a very high priority for all organizations. Today’s printer capabilities can help to enhance that delivery process and communication documentation; they can also reduce risks and streamline operations within the administration environment. Albeit, printing can be dealt with by an organization’s IT department. But it can be a very demanding factor that can also take up a lot of the administration team’s time, which could have been put to better use in other areas of the department. Fully trained staff may need to be employed to sufficiently handle the task of efficient printing performance. And for that reason, many businesses now fully understand that although these brand-new printing machines have a superior capability, they are still in need of manual maintenance and can require a very high standard of expertise to operate correctly. Not to mention the extra cost associated with internal print processes. Equipment investment, documentation issues, and workforce labor costs can lower company profit margins. Therefore outsourcing to a managed print service is frequently considered financially attractive as a cost reduction strategy. A managed print service (MPS) is a program that is offered by experienced print providers who will manage and maintain all aspects of an organization’s printing processes and devices. That may include copiers, printers, fax machines, scanners, and other digital communication infographics. It is now recognized as an ideal solution to tackle all administration aspects involving information technology within an enterprise. The print service will optimize and manage all company output documentation while providing a printing needs assessment, selective and/or general hardware upgrades or replacements. They may also offer hardware servicing, printing supplies, and additional parts. The provider will deal with and implement practices to solve any problem with the printing process if that is what is needed by the organization. The business can then gain visibility and control of their printing from the techniques used by a print managed service, and it will provide the opportunity to apply money savings strategies throughout the administration / IT departments. And it will also boost productivity from staff members. Manage print services work for organizations because they immediately provide the IT team with time to concentrate their efforts on other important factors. Discover and Measure; the first stage that an MPS will confront is to discover and measure the organizations current printing costs. Some companies do not even realize how much outlay is spent on the printing process and office print equipment. You need to measure to manage, and a reputable print service will use management software to measure at speed the current costs of printer/ copier/scanner/fax machines / multifunction systems, etc. this discovering, measuring and managing will provide the enterprise with detailed reports concerning costs and potential savings. Improve; the print service will then sufficiently improve the organizational infrastructure. Cost is again at the forefront of operations. Some devices cost more to operate than others. The MPS will deploy cost-saving strategies by redeploying with low cost of operation in areas that are currently in high usage areas of the business. Devices that have or are nearly reaching the end of their lifecycle will be replaced with devices that are cost-effective in both product price, and print capabilities are maintained and improved to refresh the business with better technological and digital advancement prospects. Manage; the IT department can always do with a little extra help. MPS will offer that help by managing all aspects of the printing process within the company. By using the same software that is also used to measure print outlay and costs the managed print service will manage all printers remotely. And all supplies will be managed by selecting paper/toner, etc., and shipping them automatically to the IT department when needed. Printer repairs and maintenance will be efficiently fixed by an expert technician who will be sent to the enterprise immediately after the MPS has been informed of any discrepancies. Operate and Optimize; the enterprise will continue to run smoothly and have a much better chance of growth via internal/external operation and optimization. Over time the MPS will help to ensure perfect printing operations and optimization of the company’s print environment. The operating and optimizing techniques used by print services help the business to identify and implement cost-saving strategies. For start-up companies, it may take a large cash outlay to acquire expensive printing equipment. At the beginning of a business, this may cause certain financial problems because funds can be low, and it may cause issues that the enterprise cannot cope with. The cash that is available at the start-up stage could be injected and may be needed elsewhere as a survival priority, i.e., supplies/stock. So outsourcing some of the IT and admin work may be the best option to make the business viable. Managed print services will enable the start-up company to concentrate on other fundamental factors to enable and ensure survival. A new enterprise may have concerns about security measures and the potential of data breaches. This has been brought on by some significant breaches by established global companies. This type of privacy breach is unacceptable in this era of digital technology. However, there is no need to let these recent concerns stop a start-up from outsourcing to private companies because established print managed services have very strict guidelines that are taken very seriously. Granted, there are always risks in any business venture. It may be that the enterprise has located their printers in an open area, or it is available to discover on the cloud. Whatever the scenario is, each has an associated risk that the IT department must first recognize and then apply fixes to protect all printing data and communications. With the input and skill from a liable print managed service, it will provide the start-up with extra security features. Cybercriminals are always surfing the web hunting for companies that are not applying the correct techniques and security strategies to ensure personal, and business data are kept in a safe place. It has been reported that more than 60% of managers in IT departments have stated that the organization’s printers are very likely infected by some form of malware committing cybercrime for data thieves. Cybercrime of this sort has an average annual cost of 47.7 million, and it is expected to rise considerably. IT department decision makers are currently fighting back by implementing printing processes to guard against the new wave of cyber attacks. Companies are supporting the initiative by hiring professional managed print services to combat and counteract possible security issues within the organizational IT structure. (MPS) currently provides superior security solutions that ensure print processes and data-level protection are integrated and implemented within the context the overall IT strategy and protect against any vulnerabilities that may be exploited by others outside of the business, such as phishing fraudsters and cybercriminals. Managed print services can even address all document management and enterprise content management systems if need be. Governance is also addressed, and regulatory compliance issues are approached and efficiently dealt with. From start-up business help to multinational corporations/printing processing is managed by fully trained and expert staff. Internal or on-site printing processes can be difficult to organize, and it can reduce productivity within the working environment because of the amount of time it actually takes for the whole print process to be completed. Many companies have reached the realization of the beneficial factors behind digitalization the hard way. They have proceeded for some time actively working to improve the printing capability from the IT team, and to no avail. This is because if the IT department do not have team members who specialize in print, the company expenditure increases as the necessity keep up with and maintain existing printing technology with low capabilities. But if the company decides to outsource to a managed print service, they will instantly gain access to the very best of advanced technology to fit their current budget. Managing and maintaining internal print fleet is a difficult process. Employees with expert training will be needed. Certain employees will have to complete tediously time-taking tasks of large print projects, whilst monitoring supply levels and printer components. Economies of scale via on-site printing is only effective for low volume projects. The need for expertize for larger projects must be included to ensure business viability and ultimately organizational survival. The beneficial factors with print managed services integration in an organization is clear to see. However, outsourcing print still requires consideration by the employer. Some companies fear losing control of their printing process. But with today’s top-level service providers who offer output quality, extra security from cyber-attacks and/or data breaches, and efficient controls concerning copying, manufacturing, and processing. Print managed service can alleviate a lot of the hard work and extra effort needed from the IT Department to keep a business running smoothly. Albeit, no transitional integration is without its concerns, but with competent analysis of both the pros and cons of an informed decision to outsource printing can be made. The advanced technology, processes, and knowledge of different techniques and strategies that are implemented by a quality print managed service will assure continued success can be achieved in the enterprise’s administration department. A quality print service will conduct a full assessment that will analyze the enterprise’s printing infrastructure. The print company will monitor the total print out whilst managing and optimizing it to its full strength. They will offer a complete roadmap that will help the enterprise to reduce the number of printers in the practice and also apply techniques to recognize and assure all devices and supplies are kept up to date and reduced to improve business performance in the department. Managed print services will identify and proactively solve immediate and/or potential future issues and combat the problem before the organizations’ workforce are affected. The service can save the business a lot of time and money by improving all aspects of the printing process. And add to that they will provide full network management and integration from a platform support initiative and a cloud storage solution. All of this comes with the beneficial feature of a proven track record in fully deploying printing services from anywhere around the globe through a worldwide network of experienced and very highly skilled print experts. With future costs kept to a minimum. The company can invest more time in improving all other aspects of the enterprise and improve the operational workflow. It will also ease pressure on the admin team while enhancing the customer’s experience, and it can seriously increase brand recognition. Leading to short-term and long-term growth. The ultimate aim for a managed print service is to supply the organization with a fully managed print infrastructure while leaving the company to concentrate on the most important concept of business. Making a profit…! Enterprises of any kind can now expect so much more from print managed services because they certainly provide more. A managed printing process is more than simply a quick-fix to basic printer products and consumables. More than just printing, toning and servicing. It is easy to recognize the many different benefits that a quality print company can do for the business. It enables management and employees to gain deep insights into the printing process and offers a drivable transformation to help the organization become established in the digital era. By partnering with a print provider who delivers action, insights, and recommendations that will assure the correct automation procedure is adhered to produce a simplified workflow. With a carefully formulated blueprint to help execute perfect integration. A print managed service will provide this without any annoying disruptions to the workforce, and without any risk, as the transition is made. 22% reduction = $500k savings – One major university in the US reportedly reduced 41M pieces of paper a year to 32M. They save 500k annually with the new process of printing services. 70% decreased energy consumption – A major US city significantly reduced its consumption of energy by the initiative of adopting a networked printing strategy. Reportedly saving millions in the process. 99.5% patient record accessibility – A large UK hospital repurposed 750 square meters of document storage for clinical use, they did so by merely applying a digital document workflow basis to their printing strategy. 50M standardized device management – A popular aerospace and defense manufacturer recently reported a 50M company saving by standardizing their device environment via managed print services. The next generation of recognized print services provides assurance that intelligent multi-functional devices meet security policies to adequately protect organizational documentation and customers personal details. 32% emission reduction – A significant global financial services leader reported that by removing 35,000 printers, it significantly reduced CO2 emissions by an astonishing 32%. While the company also gained an added layer of security with the passcode-protected printing facility provided by the print service, and the services exceptional daily image overwriting of internal and external printer hard drives. The office printer is a product of technology that has been relevant and universal for decades. Whatever the enterprise, printers are a source that you can rely upon to complete daily tasks. Printers are workforce warhorses that can be shared by multiple departments and employees and for many different purposes. That is why every organization from the small start-up company to the multinational corporation need to ensure that their print processes and systems are always up to date and reliable. To get the most out of the organization’s print technology businesses must realize that the time is now, in this digital era where competition is very competitive indeed, to not only consider, but employ managed print services to integrate and optimize their IT department. Outsourcing printing is the solution to end all printer and printing environment problems. MPS are available as monthly packages, and they come with the added benefit of a guarantee that all printing issues will be dealt with by expert staff and quickly fixed without any additional charges to monthly payment plans. The managed print service will begin with the management process by reviewing your company’s print environment. The focus is on both hardware and software including the print network to identify all tasks that need to be improved or automated to a satisfactory conclusion which will also concern extra security features. Outdated hardware will efficiently be replaced, and software will be upgraded. The benefits of MPS integration in an enterprise are obvious. The money that can be saved and put to use in other areas of the business is surprisingly significant. Customer satisfaction is quickly increased as the business has the time to do more for their customer base both in and out of office. Due to remote access solutions and superior MPS printing efficiency. Even the new equipment that is supplied by the print service company can seriously reduce monthly expenditure as all devices are built to consume much less energy than usually consumed by older, outdated equipment. Digital devices now have sleep mode capability, reducing electricity consumption and charges that can create a positive impact on the businesses yearly electricity outlay, therefore saving more company costs to increase profit margins. All printing hardware will meet ‘Energy Star Certification’ requirements. A managed print service will provide the company with the consistency that will get the most out of its print processes, while protecting sensitive business data, and making printing efficiency all-encompassing. Quality MPS will encompass a team of technicians that will provide solutions, services, and continuous support. These services will optimize resources for maximum productivity in the IT department. The initial assessment will begin, and it will be sustained for long-term improvements. 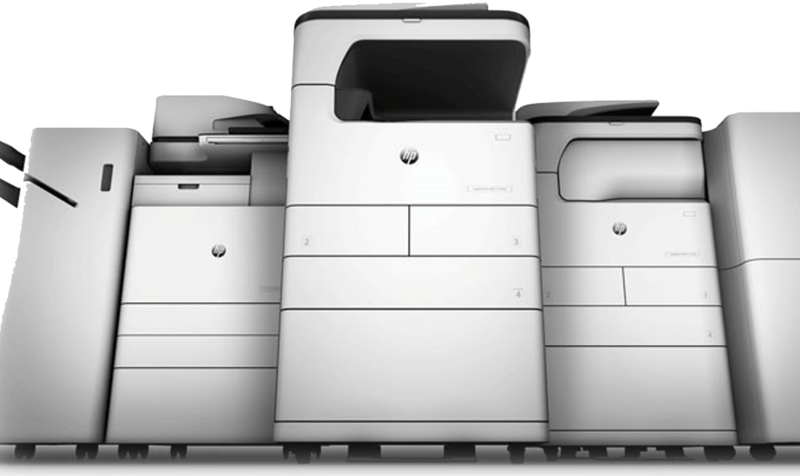 MPS will help the business to print smarter, work efficiently and securely. They have a proven approach to increasing printing productivity as the service will maximize the company’s current technology while lower print outlay. The leading-edge printing products supplied with multifunctional capabilities are only a small component of the comprehensive managed print service solution. MPS also offers additional software solutions that easily capture and document the correct answers needed to improve workflow concerning enterprise management, cost accounting and a wide range of other business applications that will enhance company production. The encompassing streamlines operations to maximize control. It will enable rules-based network printing which assures that the organization can evaluate and predetermine the cost-saving parameters related to the print process, and on approval, it will redirect certain print jobs to devices that are more suitable for that particular project, and to devices that cost less to use. The MPS may even offer a pay-as-you print service that will help the finance department stay in control and up to date with the company income/expenditure accounts. This reiterates the point about multi-departmental productivity with the company integration of managed print services. Furthermore, customer communication will be fully optimized and personalized by MPS. A very high standard of communications will be delivered, and across all preferred channels, which will considerably drive retention and revenue as it enhances the consumer experience. By entering a business arrangement with a specialized print outsourcing service, it assures the company will gain access to that advanced knowledge of print experts, as well as access to the specialized advanced technology that is offered by the MPS. All of these benefits will substantially consolidate costs. By leveraging the optimal quality offered by MPS’ proven techniques and strategies it will improve compliance and reduce associated printing process risks. Therefore if an organization wishes to compete in a competitive business environment. It is wise to look at and realize the beneficial potential of employing print managed services to empower the enterprise and its essential internal/external printing infrastructure.